impresses in the latest issue of the magazine Baggermodelle. Details, functionality and quality of the EuroFlex in the scale of 1:50 let the fan-heart beats faster. According to the original, the model convinces with its functionality. The front lifting table can be folded up by cylinder so that the gooseneck is accessible. This enables transport of multiple small machines or longer machines. 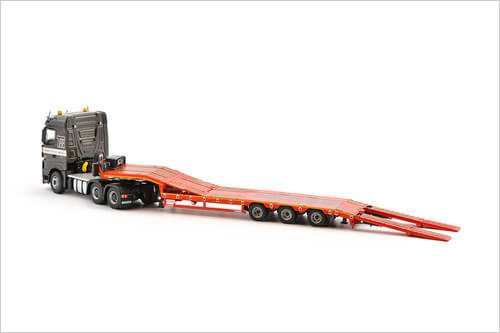 A steerable rearmost axle, small lights, realistic wheel rims, authentic props and control elements round off the details. 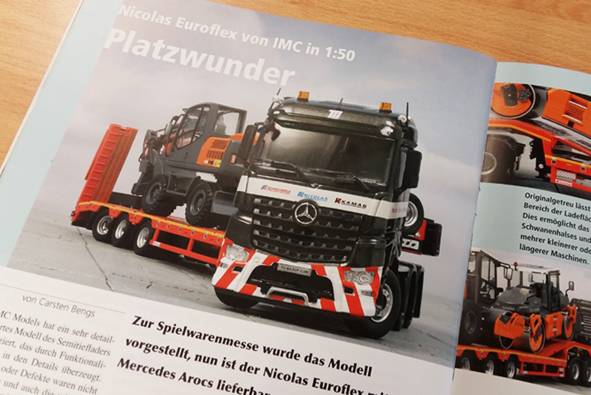 The tractor, a Mercedes-Benz Arocs of Tekno, is just as convincing as the semi low-loader in terms of detail and functionality. 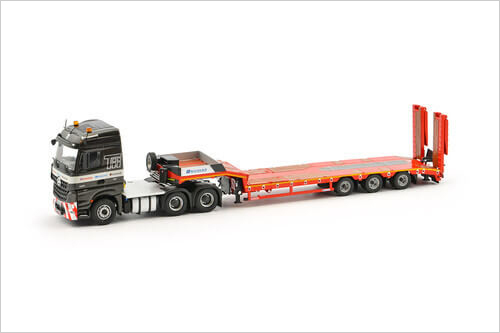 This and many other models can be purchased in our TII webshop.